I received my @AnkerOfficial Soundcore Liberty Neo (SLN) today and have had the chance to play with them for a couple of hours already, including a gym workout. 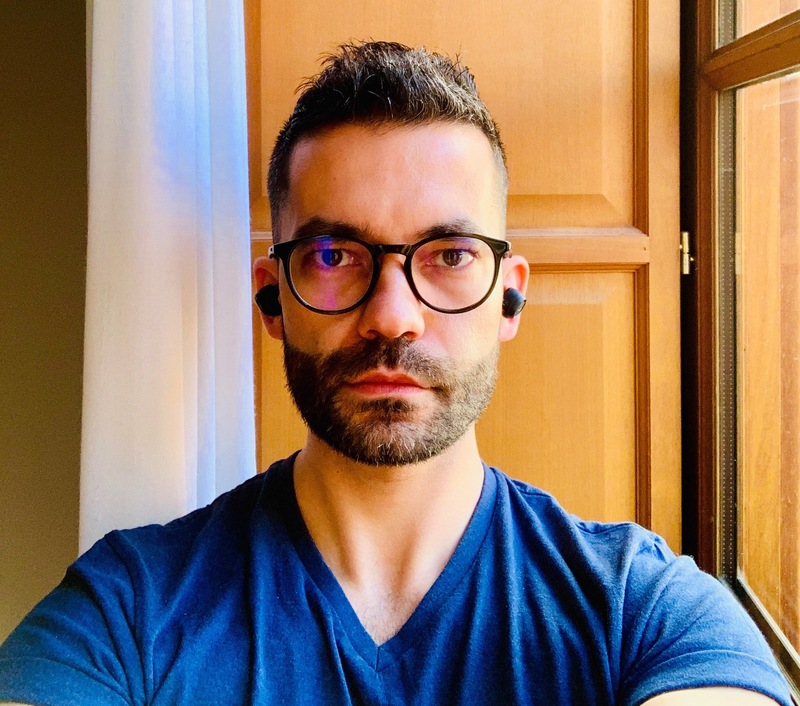 What follows are my impressions on several levels especially comparing them with the other pair of wireless earbuds I own, the Apple AirPods. My travelling headphones are the Sennheiser BTNC HD 4.5 but given the different size and specs of the devices, it´s not really a fair comparison. The SLN come nicely packaged with the product immediately accessible from the get go. Underneath the box you’ll find an array of accessories to make sure the earbuds fit your ears properly and this is, in my opinion, one of the aspects in which Anker’s approach beats Apple’s ‘our size fits all’ philosophy behind the AirPods. Charging cable and instruction manual are all underneath the earbuds. The build quality of the buds and case feels quite solid. Regarding the manual, it needs some streamlining in my opinion, especially regarding the pairing instructions which aren’t straight forward at all. Or better, they are if you’re only pairing the buds with a SINGLE device. It doesn’t say anywhere that opening the charging box and getting the buds out automatically puts them into pairing mode, so after pairing them to my iPhone it took me a while and couple of pointless button pressing to find out how to pair them to my iPad as well. This brings me to one of the low points of these buds which is using them across different devices: after you pair them with two devices, you have to put them in the box and get them out again in order to be able to change device. It’s clunky and not very intuitive at all and if the other device is nearby, they’ll automatically connect to the last device they were paired with. Now, this is handy when you’re only using them with one device as they’ll automatically and seamlessly connect, so if we’re talking about single device usage, they’re great. Add another device to the mix, and it’s not so great. I find it a bit odd that this is how the process happens because even with non Apple headphones like my Sennheiser or the old Bose I had, I could switch between connected devices simply by going to the Bluetooth settings on each device and connecting from there. My guess is that Anker has chosen to switch off the ‘discoverable’ feature once they’re connected to a device in order to save battery. In terms of call quality, they were great.I could hear clearly and people could hear me clearly and without gaps. Music wise, as a classical musician who enjoys several types of music, one of my main concerns when choosing headphones is that they’re capable to successfully handle whatever type of music I throw at them. I thought these tracks reflected a varied soundscape to see how the SLN responded across the sonic range. Generally speaking, the sound quality is very good. The sound is crisp, detailed and very clear across the spectrum. The beginning of Traviata prelude sounded especially beautifully detailed with each of the sections in the strings easily identifiable. Once the double bass kicks in, though, volume across that middle-low range wasn’t so great. The sound of a double bass lies a bit more in the middle range than on the bass side of things and the SLN aren’t particularly rich on those mid-frequencies. The brass that opens the Nabucco also sounded great, but again, once instruments that bloom in the mid frequencies kicked in, they couldn’t really handle it very well. It’s not that you can’t hear them, you can, but the sound doesn’t really bloom. They respond much better once you get a bit deeper in the range with a nice bass response. I believe this has to do with Anker’s equalisation choice which seemed to lie on the bright side. Personally, I prefer a slightly warmer sound which gives playback the bloom in the middle that I like, yes, at the expense of definition. No earbuds will be perfect in this matter and while for instance, the AirPods sound warmer overall with a nicer response in the middle, they lose a lot in detail and definition. A great example is the first track in The Greatest Showman soundtrack. The SLN level of detail allows you to hear stuff in the first seconds of the track that the AirPods simply don’t show you. Elsewhere, voice and piano tracks sounded good: the piano quite alive (again, brighter equalisation favouring brighter instruments and sounds), but I found that the response to voices was also a bit on the bright side. Not shrill, but again, my personal preference is for a warmer overall sound. The buds fit my ears very well and staying in place without problems even while working out. I don’t think I’d have any problems making them fit, given the amount of rubber adapters and accessories that Anker is including in the box. Battery wise, Anker claims 12h plus 3.5h on the earbuds. This isn’t by any means bad, but it’s an aspect in which the AirPods with their 5h Battery life plus 24h on the case, beat them easily. Charging wise, I do wish that Anker had gone for a USB C connection, but this isn’t a deal breaker for me. They also look good on overall. In terms of what you can do with the earbuds, they do beat the AirPods: a single long press on each side will cycle through tracks, whereas a double press will bring up Siri. A single standard press will pause and they switch off automatically once you take them off AND put them in the case. It would be nice if the button was a bit softer and easier to press, though. 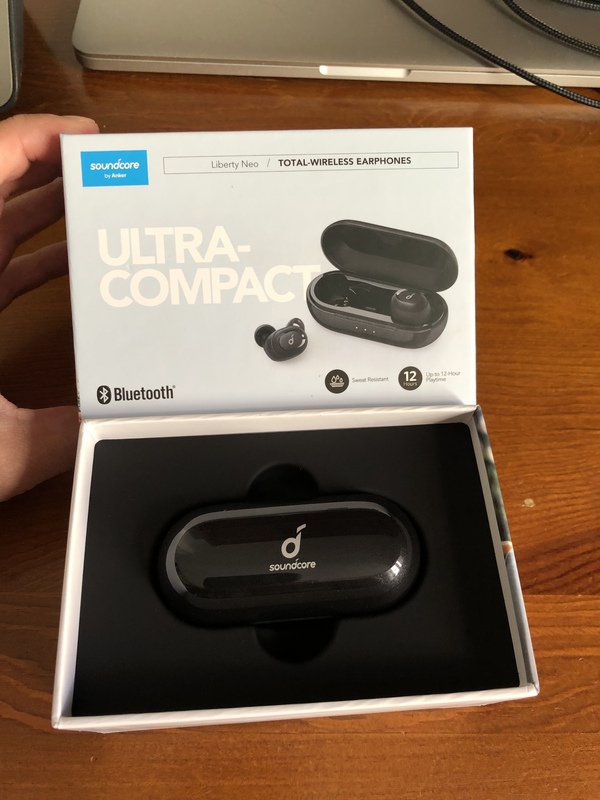 The Soundliberty Neo are a solid pair of truly wireless earbuds, providing very good single device connectivity, good battery life and generally very good sound quality across a different range of music styles, with a clear and well defined sound. In these aspects they are a very solid alternative to the Apple AirPods at a fraction of the price. The included accessories and adapters will help you get the right fit for optimal sound quality and hold. Slight lack of volume across the middle range. Good work you made Ricardo. Place blank lines between the photos. Another lover of classical music!!!!! GREAT!!!!! La Traviata is unbelievable. Every aria a hit! Thanks for posting a great review. 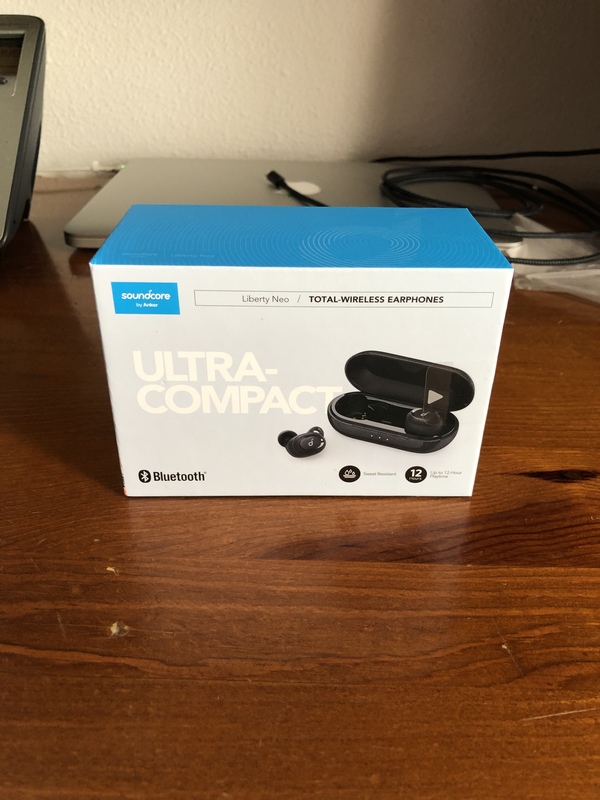 I'm always curious about new true wireless earbuds, I have the Jabra Elite's that I like a lot but always like to look for others that are comparable. Very well put together review. Good work! Great review and thanks for posting with pictures. Always nice to hear other people's take on how music is interpreted through earbuds to them. I personally loved how The Greatest Showman played out on these, but I do have my phones Bluetooth customized to my liking over stock so that could be why. Nice review. Very useful are the remarks of the music, which you used for comparison. Nice variety ! 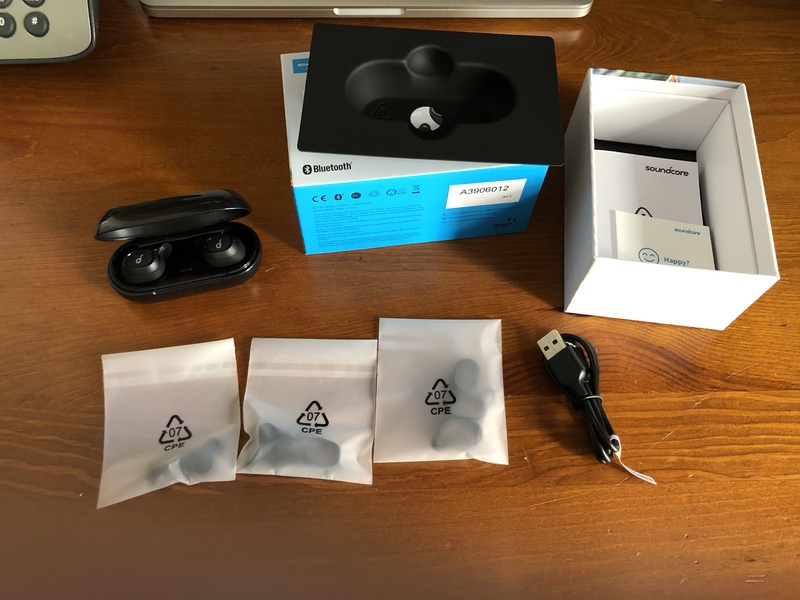 Great review @ricardo.panela It is interesting that you have to dock the earbuds to change out to a different device, like you said it was probably to save battery consumption and turn off functions not required. Thank you for your great review, quite informative with great pictures. I just may have to get a pair of these, I'm a huge fan of the soundcore spirit x, but I am looking to go fully wireless. Great review, thanks for posting! Great review. Thanks for posting your insights. Awesome review, great quality pictures. Loved the fact that you listed the songs for test. Something that I have not seen at any review is the sync audio issues with different apps. This might not be the case with Neo but some other brands have sync issues between audio and video(Netflix, YouTube, Spotify, etc). Let us know if you had issues or if everything work great. Once again great review.